NEW YORK Microsoft's Office software package is finally available for the iPhone, and that's a huge plus for those working on-the-go. Starting on Friday in the U.S. and rolling out to the rest of the world next week, the technology giant is offering people the ability to read and edit their text documents, spreadsheets and slide presentations without having to sit in front of a computer. 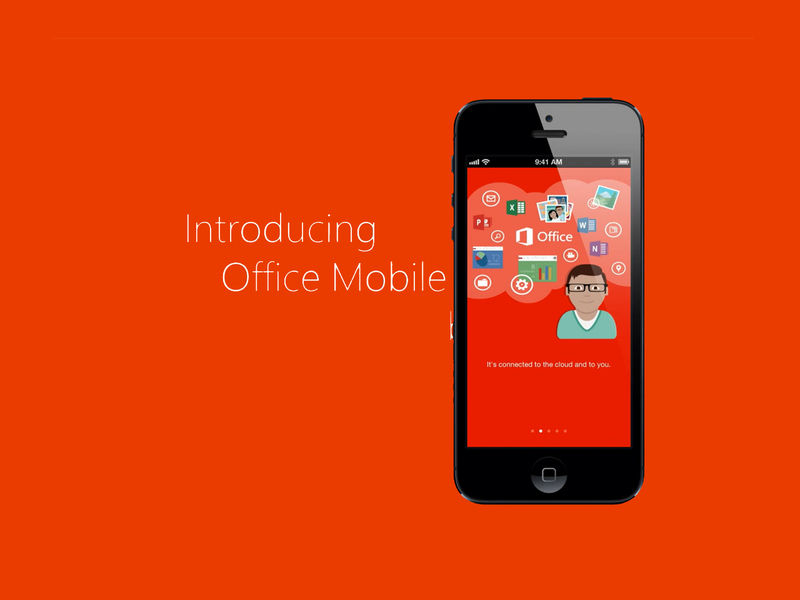 Office Mobile for iPhone -- officially called Office Mobile for Office 365 subscribers -- is available free through Apple's app store, but an Office 365 subscription is required to use it. The service lets you use Office on up to five Mac and Windows computers for the annual fee of $100, which can make it more expensive than buying the package outright for just one or two computers. However, the iPhone version won't be sold separately for those who resist the recurring fee. "We don't view this as a standalone app," Chris Schneider, a marketing manager in Microsoft's Office division, told CNET. Currently, Office 365 has 1 million subscribers according to Microsoft. However, there aren't any plans to make an iPad version nor will the app be available on Android devices. Microsoft Corp. is treading a fine line as it tries to make its service more compelling, without removing an advantage that tablet computers running Microsoft's Windows system now have -- the ability to run popular Office programs such as Word, Excel and PowerPoint. Microsoft has been pushing subscriptions as a way to get customers to keep paying for a product that has historically been sold in a single purchase. The company touts such benefits as the ability to run the package on multiple computers and get updates for free on a regular basis. Microsoft said it wants to give customers yet another reason to embrace subscriptions by offering Office on the iPhone only with a subscription. Chris Schneider, a marketing manager with Microsoft's Office team, would not comment on any plans for the iPad or Android. Office is available on those devices through a Web browser, but it's not as rich or powerful as having stand-alone software installed directly on the device. The Web app also requires an Internet connection, something not always available with many tablets. The regular version of Office works on Windows 8 tablets, and most of the features are available on a version designed for tablets running a lightweight version of Windows called RT. Customers needing to use Office on a larger screen than a phone might be drawn to the Windows tablets, which have lagged behind in sales and cachet compared with Apple's iPad and various devices running Google's Android system. The iPhone app will come with Word, Excel and PowerPoint and will sync with Microsoft's SkyDrive online storage service. Microsoft said people will be able to pick up a Word document exactly where they left off on another computer tied to the same account, while comments they add to a Word or Excel file will appear when they open it up on another machine. Although documents will be reformatted to fit the phone's screen, the company said the iPhone app will preserve charts, animation, comments and other key properties. That's not always the case with programs offered by Google and other companies to work with Office files on mobile devices. But Microsoft said the app won't offer the same range of features available on regular computers. It's meant for lightweight editing, not complex calculations or heavy graphical work, Schneider said. Someone about to give a speech can review a PowerPoint presentation and fix a typo, for instance. Someone getting a Word or Excel document as an email attachment can add comments or make changes, then send it back, either as an email attachment or through a sharing feature on SkyDrive. Rather than have it do everything, Schneider said, "we designed the Office Mobile for iPhone to meet the scenarios that make the most sense." The iPhone app also won't have Outlook for email, Publisher for desktop publishing and Access for databases. Microsoft's OneNote software for note-taking has been available for free separately for iPhones and iPads. People with Office 365 subscriptions will be able to run the new app on up to five iPhones, in addition to the five Mac or Windows computers. Microsoft, which is based in Redmond, Wash., already makes a version for phones running its Windows Phone 8 operating system. An Office 365 subscription isn't required for that, and those apps do not count toward the five mobile devices permitted for each subscription.